The antiviral drug Acyclovir is being used in the treatment for Herpes widely around the world. The Herpes virus is said to have affected around one-third of the world’s population and it can be so deadly that even death can be the result. Many antiviral drugs have been tried and developed for the control and treatment of herpes, but none of them have turned out to be effective and did produce satisfying results. Acyclovir is guanosine analog antiviral drug, which is capable of binding the DNA of the virus and it acts as a chain terminator. The work mechanism of this drug calls for an early administration. Acyclovir has an oral bioavailability of only 15-30 percent but through intravenous administration much higher concentration levels can be achieved. The drug reaches into almost all the organs of the body, penetrating almost all the body tissues. This penetrability makes it effective and also a drug that has to be administered with much caution, depending on the health conditions of the patient. Acyclovir for herpes treatment has been very revolutionary as this drug is a much tolerated drug. 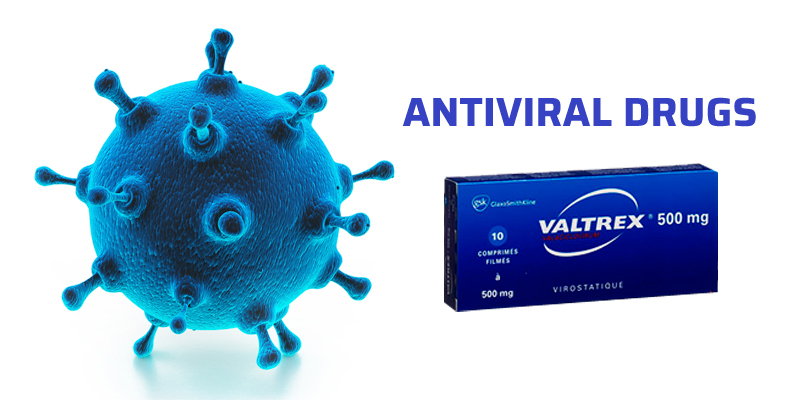 Surveys conducted among the users of this antiviral drug, have brought out data which are very consistent and seem to instill faith and assurance in the healing properties of the drug. This tolerability of the drug has been taken to a further step, when many experts and scientists have mooted for changing its status to a nonprescription drug. Though without much side effects and toxicity, in case of patients suffering from other conditions like renal failure, acyclovir can cause vomiting, nausea and headaches. Just like the anti-viral drug Acyclovir, Valacyclovir and Famcyclovir are also used in the treatment for herpes. Valacyclovir is an ester prodrug of acyclovir and it gets easily absorbed and converted into acyclovir making it equally efficient a drug as the acyclovir. It has a greater oral bioavailability than the acyclovir and is also safe and tolerated as the acyclovir is. Famicyclovir is another antiviral medication which has properties similar to the acyclovir and works with an efficiency similar to that of the acyclovir. Usage of acyclovir for herpes has had a pioneering effect in the treatment of herpes and has brought relief and betterment in the conditions of the infected, making it more popular among the patients and doctors.